Members of the Coin Operated Collectors Association can gain from the following member benefits, most of which are not available anywhere else. Perhaps the greatest benefit is the opportunity to meet fellow coin-op collectors and share the fun, fellowship and excitement of this great hobby. Currently dues are $33.00 per year or 3 years for $90 - Dues are $39 for Canada members or $50 for International members. COCA'S membership year runs January 1st until December 31st. New members joining during the first 6 months of any year will be paid members for the balance of that year. They will receive all 3 issues of COCA Times Magazine (spring, summer, & fall issues) for the year they join and enjoy all of the other club benefits through that calendar year. New members that join during the second half of the year will receive the Fall issue of COCA Times magazine for the year they join, PLUS all 3 issues of COCA Times Magazine for the next year. They will be paid members and enjoy all club benefits for the balance of the year they join, and for all of the following year. Three issues of C.O.C.A. Times Magazine each year with color photos, articles, and advertisements. C.O.C.A Times Magazine is free for members. It is mailed in Spring, Summer and Fall via USPS first class postage It is a high quality full color magazine with articles and information directly related to the collecting of coin operated machines. It is the only magazine devoted to collecting antique slot machines, trade stimulators, gumballs, arcade and vending machines. Link to COCA TIMES MAGAZINE. Local C.O.C.A. Gatherings. C.O.C.A. members will periodically host local weekend get-togethers so that C.O.C.A. members can visit with each other and share information. This is a great opportunity to meet fellow coin-op collectors in your area. Annual Convention which includes visits to collectors' homes, room-to-room buying/selling, and an auction. This event roams from state to state and is usually held in the summer or fall. FREE Classified Ads on the Web C.O.C.A. solicits “For Sale” and “Wanted” classified ads from people who visit the C.O.C.A. web site. These ads must be for coin-op or game room related items or services and are posted on the C.O.C.A web site. The contact information is available only to paid members in the “members only” section of the C.O.C.A. website. Two fun filled meetings with refreshments and speakers in April & November at the Chicagoland Show. “Members Only” access to the entire C.O.C.A. Web Site which includes repair information & tips, photos to help identify machines, sources of supply to coin machine collectors, plus links to other useful coin operated machine web sites and to dealers that buy and sell coin operated machines. COCA Calendar of Upcoming Shows and Auctions Schedule, C.O.C.A. compiles a list of selected shows and auctions that are of interest to members. C.O.C.A. Membership List As a membership benefit, a complete C.O.C.A. membership list is mailed with the summer edition of the C.O.C.A. Times magazine. This list provides C.O.C.A. members with the types of machines other members collect and provides information for contacting fellow members. Personal Member Pages Each member has their own C.O.C.A. webpage where they may post pictures and other information about themselves and their collection. Photo Identification C.O.C.A. compiles for members a list of sources where you can find photos to help you identify and date your coin operated machine. please note: We Promise not to SPAM You! Moved? 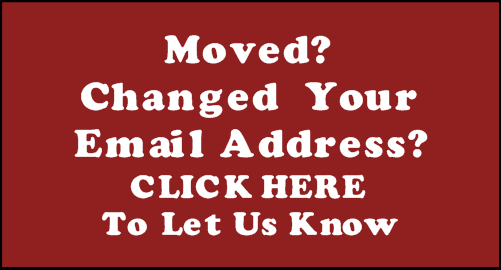 Go Here to update your address.